The Justin Pepper 5K is so much more than just another 5K. This 5K has a twist..... the RUCK! Rucking is a great way for exercise enthusiasts to enhance their walk or run by carrying weight in a backpack. We encourage walkers and runners to step up their game and try the ruck. You can find information about rucking at goruck.com. We consider ourselves to be an introduction to ruck and do not want anyone to feel overwhelmed by this portion of the event. There are full race details on our website. We hope walkers and runners will "see" the ruck one year, and sign up to ruck in a future year's event if they are not comfortable doing so this year. 100% of net proceeds will benefit The Justin Pepper Foundation, which is dedicated to engaging youth in volunteerism and philanthropy. The foundation provides scholarships to students in Lexington and Newberry counties for those students that excel in volunteer works and philanthropy. 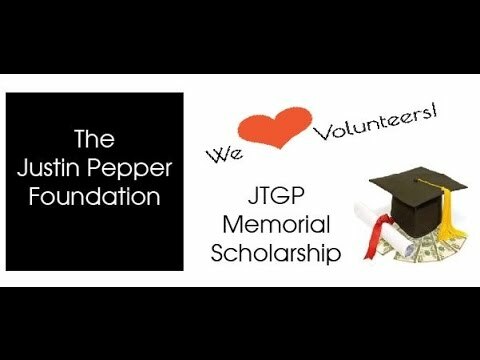 In the past five years, the Justin Pepper Foundation has given $22,000 in scholarships for education beyond high school. The Justin Pepper Foundation is a registered 501(c)3 nonprofit organization. There is more information about The Justin Pepper Foundation on our website: justinpepper.org. Based on a 5 year average and a race date of August 31st, Chapin, SC can expect temperatures between 74℉ and 90℉ with humidity around 74% and precipitation of 0.16". Raceentry.com also cannot attest to the validity of individual Justin Pepper 5K Walk, Run, Ruck reviews. All of the information about the race has either been supplied by the event staff or can be modified at any time by their race management. 2019 Justin Pepper 5K Walk, Run, Ruck registration details are only as accurate as the event has made them.